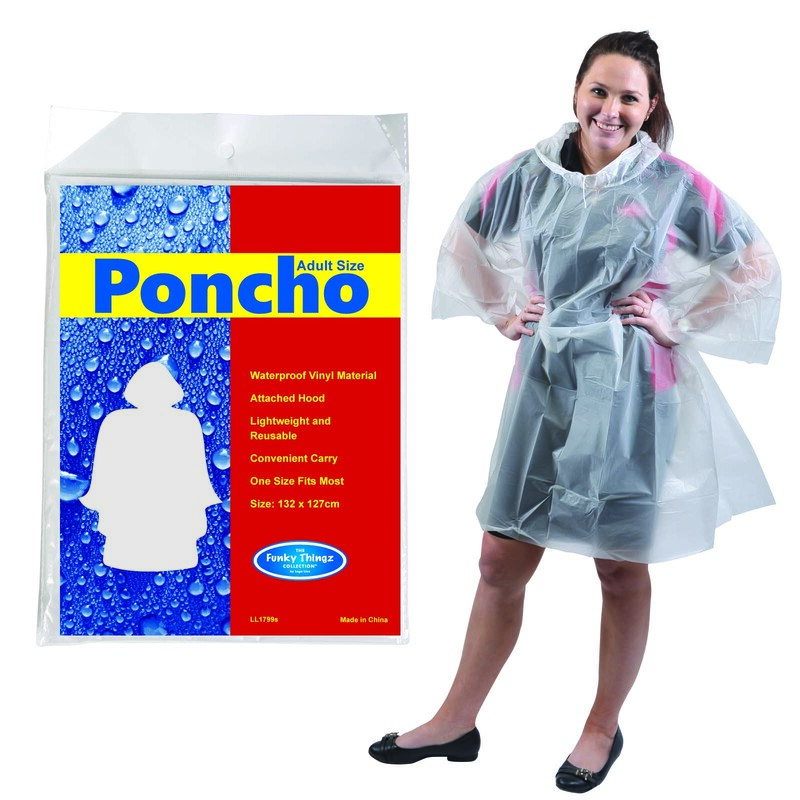 Disposable Rain Ponchos from $0.69 cents+gst & re-usable ponchos either supplied blank or with branding. Our Ponchos Australia that are long & tough suitable for all outdoor events. Make sure your next event is covered keep your crowd dry and the event on track. These are the best solution for a low cost solution for outdoor events where we cannot control the weather. Less bulky than umbrellas and large rain coats and will give you great return on your investment where your crowd will stay for the event. 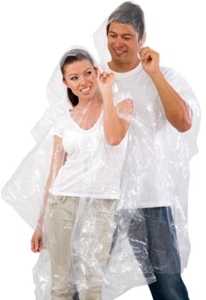 This low cost wholesale Disposable Poncho will save your next event. Buy in bulk and save money with our clear disposable rain ponchos delivered Australia wide with fast delivery where we can supply either unbranded or in larger amounts we can print your logo and provide a variety of colours. We have these stocked in our warehouse ready for quick delivery. Fast Delivery Australia Wide Suppling all areas Brisbane, Sydney, Melbourne, Adelaide, Darwin, Perth, Canberra & Hobart. 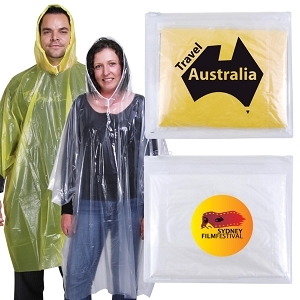 Cheapest Disposable Ponchos Australia Wide with stock ready. Call us on 1800 833 006 for your next order to save your event from being washed out.